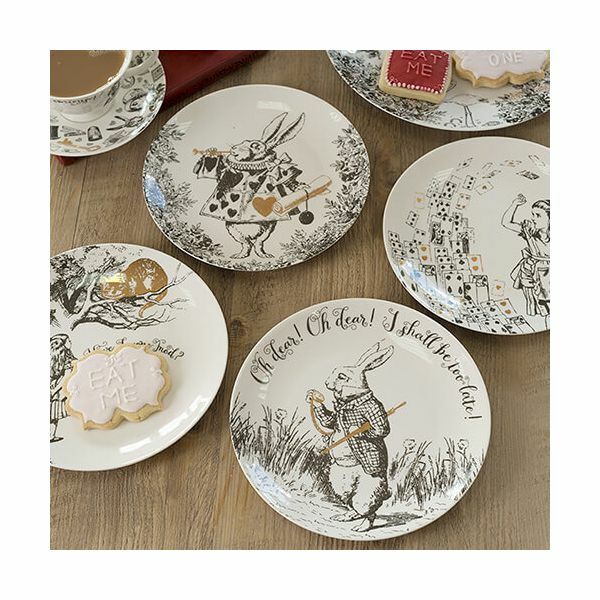 Beautifully made from fine bone china these Victoria & Albert set of side plates are illustrated with scenes from the original Alice in Wonderland book. 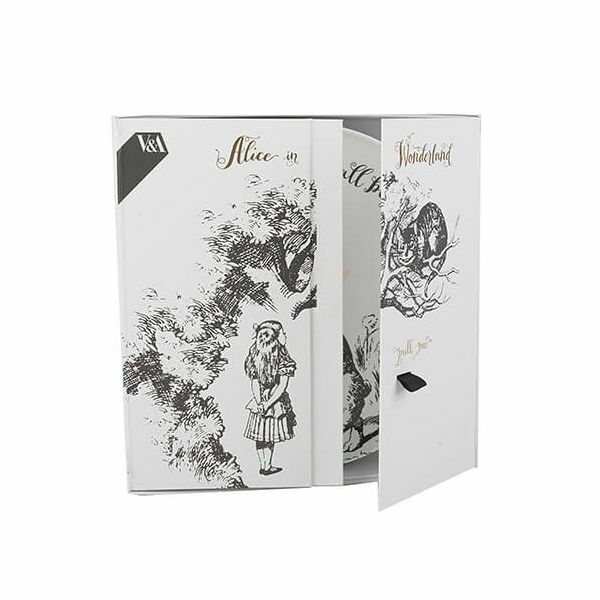 With a variety of scenes with Alice and the White Rabbit in a whirlwind of playing cards with the words 'oh dear! oh dear! I shall be too late! and 'have I gone mad?' hand drawn illustrations with luxury gold decal. 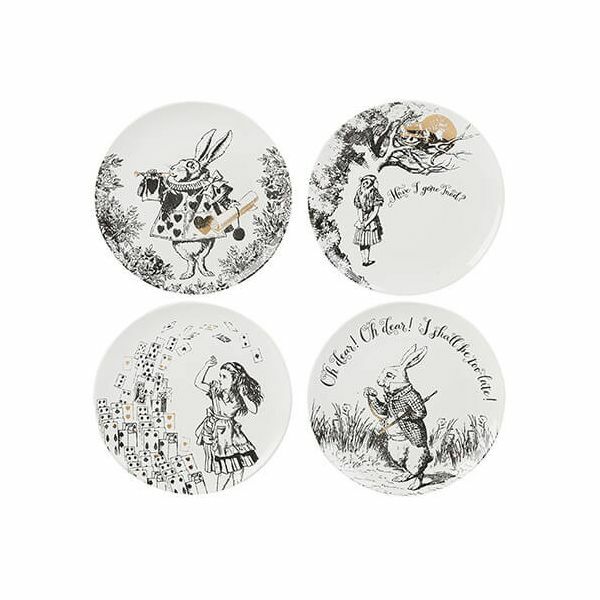 These stunning side plates are presented in gorgeous illustrated packaging with a puzzle enclosed to begin your adventure. Fabulous customer service and products! I ordered a range of crockery and cutlery from Harts of Stur over the telephone as I had a query before ordering. As always their customer service was impeccable and extremely helpful, delivery super quick and I'm delighted with the products. It's rare to find straightforward, honest, helpful and genuinely customer focused companies these days but Harts of Stur is a shining example. You have a loyal customer here, very impressed!